Today is the day for extra chocolate and trick-or-treating. To celebrate pumpkins that were made to be jack o’ lanterns. And to put on your most creative costumes and become something new. 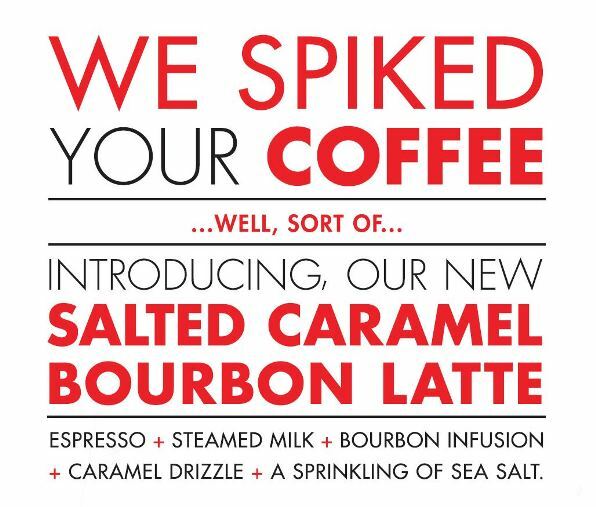 In our Take Five Café world we’ve used all our creative juices to come up with a signature fall drink…and take our word for it, there’s nothing ‘trick’ about it. It’s all treat. It’s true. We’ve taken our classic latte with custom roasted espresso and perfectly steamed milk and added the most amazing of flavours. We’ve spent some time in our East Van kitchen crafting the perfect Bourbon infusion (don’t worry – we haven’t actually spiked your latte). We’ve burned off the alcohol, but the result is that perfect Bourbon flavour that pairs so very well with a bit of caramel and sea salt. This drink is a limited edition fall favourite. It won’t be around forever. So come on by any of our locations to try something new. As a new year begins, we are excited to continue updating our coffee roasts at Take Five Café. This January, we’re happy to introduce the newest member of our Take Five Café Coffee family: the Espresso Nettare.